This project is dedicated to building new bathrooms, as well as updating the aesthetics of the Bethel Academy school by painting walls and roof – providing much needed renovations for the 190 learners at the school. Bethel Academy is prioritized as it is a community school and has increased in size, with no increase in funds or facilities. Currently 190 children are sharing 4 bathrooms and queuing during their breaks to use the very basic toilets. They also have a student with physical disabilities, who is not able to use the current toilet, due to the size of the wheelchair and instead the teachers are having to use diapers. Bethel Academy is a community school funded by community support and donations. The project is directed towards providing additional facilities to the school, whose capacity is limited due to the increase of student numbers and the presence of a special needs student. We are currently fundraising for a bathroom for all the children at Bethel Academy, as well as for aesthetically uplifting the school’s appearance with a coat of paint to make the school a more attractive and engaging place of learning. This project will significantly impact the children, with increased learning and playtime, uninterrupted by queuing to use the limited bathrooms. There will be an increase in sanitation and hygiene which seeks to increase basic human dignity, access and to the contrary, de-crease absenteeism. These renovations will also help the school meet the required standards by Ministry of Education to provide improved sanitation and efficiency. The African Impact Foundation projects in Kenya are based in the Limuru District of Kiambu County in the Central Province of Kenya. The majority of the population in the Central Province are Kikuyu – the largest ethnic group in Kenya. However, due to its close proximity to the capital city, Nairobi, the Limuru area is quickly becoming a cosmopolitan area. Other communities (Luhya, Luo, Kamba, Maasai, Kisii) have settled in Kiambu County as a result of rural-urban migration in pursuit of employment and other economic opportunities. We have started fundraising in June 2017, so watch this space! 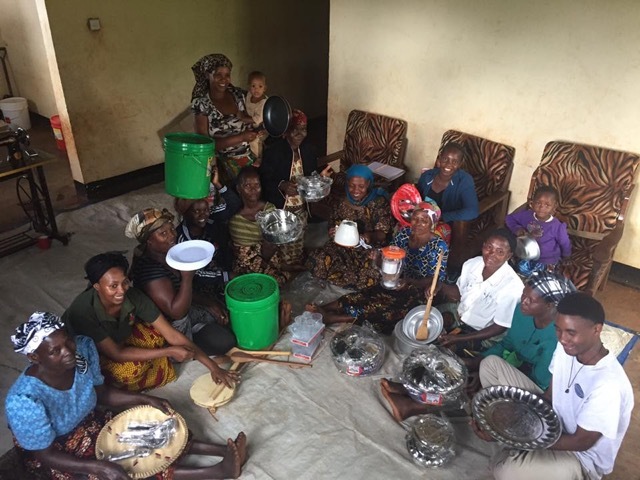 Claudy Luft, volunteered in the Girl Impact and Gender Empowerment Project for 12 weeks in Livingstone, Zambia and 12 weeks in Moshi, Tanzania. Much more can and needs to be done to reach the goal of gender equality in the hole world. I believe every little bit helps and it starts with education, that is why I came to Zambia in 2016 and to Tanzania in 2017. 4 weeks ago, I arrived in Moshi. I was so excited and could not wait to start. 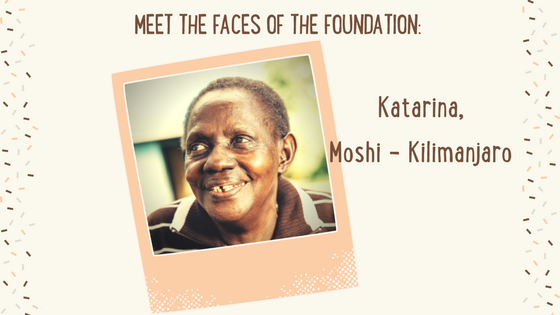 From the moment I arrived, I felt part of the Moshi African Impact family, everyone is so welcoming and the projects are well organized. After being a volunteer in different projects, in different locations, I knew how interesting and impactful the Girl Impact program is. The girls (and boys every now and then) that are part of the Girl Impact program improved their knowledge but more important they grow in confidence. When we invest in girls’ health, safety, education and rights we empower them to reach for their dreams and build better lives for themselves and their communities. There are many similarities in the Girl Impact projects, of course both projects cover all the ‘girls’ topics and both projects are well established and well organized. Even when you volunteer for 2 or 4 weeks you can see the bigger impact the program makes in the community and you are an important part of it. An interesting difference between the locations is the culture. Girls all over the world struggle with the same problems but cultural influences make that girls in different part of the world are more vulnerable than others. A project in Moshi that made a big impact in one of my first weeks was NAFGEM, a project that helps girls who escaped female genital mutilation, which is still common in Maasai and Tanzanian culture. Young women, especially those from such strict cultural backgrounds need and want mentors to help them navigate and bring them more confidents to become strong, independent women. Here in Moshi we work closely with the Maasai; we run a Maasai literacy program and a Maasai professional development program. Girl Impact volunteers in Moshi get the change to join the education project in which we teach the Maasai, adults and kids English. This gives you the opportunity to see more of the impact we make in the community. While volunteering you really get to know the culture and that is one of the biggest benefits volunteering gives you compare to traveling. Both projects are focussed on different age groups of girls, from young girls up to adults. And all girls that I’ve met in the program are so eager to learn and come to our lessons after school which shows their dedication. This program is an incredible experience for yourself and for the girls that you’ll support by joining the Girl Impact program. African Impact facilitates it so well with tasty food, good accommodation, project transfers and a helpful team to support you before, during and after the projects. You’ll never be on your own! But be aware while you’re busy helping to change their lives, they’ll change yours and in ways you could never have imagined. Developing skills for unemployed youth through using community gardens for subsistence and for an opportunity to develop important life, agricultural and business skills for small business opportunities. Our initial goal is to help these unemployed young people to sustain themselves and their families through growing vegetables to supplement their diet for self sufficiency. Once this is achieved we will seek with the young people to build their skills for income generation. We are currently working in partnership with Maputha Ditshaba High School who have offered us a piece of land that we will create a community garden to help local community members sustain themselves and their families and increase income generation. Initially high school graduates will have the opportunity to learn new skills and a sustainable way of feeding themselves and their families. It will be a self-sustaining model where the youth will receive equipment and training in the garden to be able to produce vegetables for their own sustenance as well as producing seedling boxes for others. As a second phase we will provide training in basic business skills to assist with future income generation and further education. Short Term Impact: The high school graduates will be able to provide nutritious vegetables for themselves and their families as well as learning food gardening skills. Long Term Impact: The youth will create seedling boxes and vegetables to sell for income generation and so they can start their own garden at home. These youths will be using seedlings to start their own garden at home or continue into commercial farming to maximize income generation and partner with local businesses. Bushbuckridge Local Municipality is one of the five constituents of Ehlanzeni District Municipality in Mpumalanga. Basic services such as running water, sanitation and health care are all under developed in this rural area. The area suffers severe unemployment, poverty, high rates of HIV/AIDS and a lack of basic education. Many of the local residents live with family or extended family in basic housing due to the levels of poverty in the area, and the level of education is low with many of the population aged 20 years and above having no formal schooling. Although rates of Primary School attendance are improving, further and higher education in the area remains a challenge. This, in turn, increases the high unemployment rate, which currently sits at over 50%. In Phase 1 of the project we were able to secure permission for the use of the land from the Maputha Ditshaba High School and land has seen the developments of 87 garden beds. Having planted 1615 seedlings of cabbage, beetroot, spring onion, chillies, spinach, tomatoes and green pepper, we have been able to provide 1066 full meals for 6 participants and their families with a nutrition content of 197kg. With the drought in South Africa, the team became innovative and have put in place an watering system with 2L plastic bottles. By planting them upside down in the soil, we won’t lose water through evaporation and because the water goes deeper in the soil the plants will grow deeper and stronger roots. The gardeners and the volunteers are already collecting them and we have already planted 15 of them. Adding to that, we put in place mulching. The idea is to cover the soil with a layer of hay/dry grass in order to retain the water in the soil and to keep it protected. We have completed compost bins and to get some aromatic herbs to fight against some pests. We are starting Phase 2 of the project in 2018, with a local successful farmer who has allotted us with 5 hectares of his land to be cultivated by the Farmers of the Future participants for their own development. Already in Phase 1 we have had 2 participants start college, 1 started their own business and 1 other participant develop family owned land with other members of her family. In the first Phase, the impact meant that the participants saw 1066 meals provided for them and their families with an additional R3519 generated from the produce of 197 kilograms of produce. Partnering with a local farmer assists with the mentorship of the existing participants. 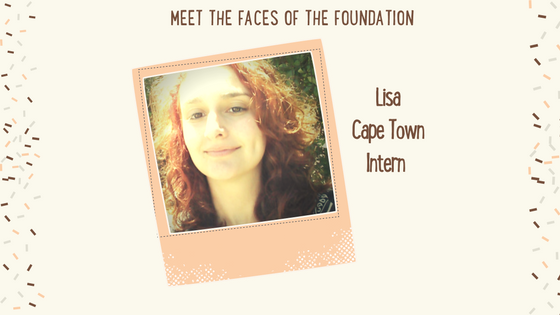 Lisa is one of our current Happy Africa Foundation Interns, hailing from Malta. 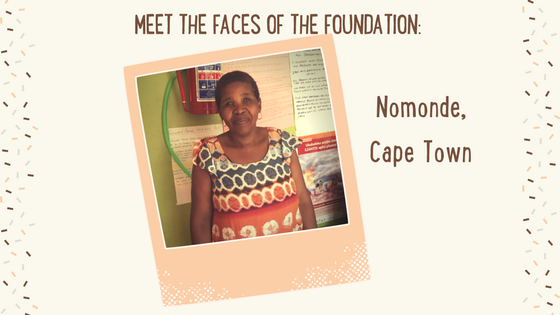 Lisa spent two months in Rural Zululand, St Lucia before coming to Cape Town in January this year. Before I started my internship in South Africa, I had no idea what to expect or what my role was going to be. I was worried I would be excluded, since I would be the only intern on site, and that my tasks would be boring. As soon as I arrived, I realised that a little bit of research could have not only taken me further than packing one pair of flipflops and one sweater for six months, but also could have made me realise that this internship would be far from the usual 9 to 5 at the office; doing mindless paper work and making coffee for others. While living and working at the volunteer house certainly took some getting used to, with the help of the business manager and the intern coordinator, I quickly discovered what my role as an intern would be. I soon became involved in and responsible for many aspects of the projects, either by physically volunteering on each project or through behind the scenes action at the office. Joining in on planning programming for the week also helped me become more involved in the projects. While basic tasks included tracking finances, donations, and merchandise that I sold; I also had to compile weekly and monthly reports, which are used at head office for the monitoring and evaluation of projects. Organising the monthly quiz night, as well as other fundraisers, was also part of my role, which involved networking with local business to get support in raising funds for the projects. Budgeting and planning a fundraising target for each project also helped direct fundraisers. A big task I didn’t think I would have been involved in was making plans for each project to develop and to become more sustainable and independent, such as finding ways for local businesses to support us through physical contributions or by having them visit the projects to share their knowledge. Planning a big trip for about a hundred kids was also an opportunity I did not think I would have at this stage in my career. Aside from doing work in the office and on project, engaging with the volunteers was also important during my internship. Being the intermediary between the volunteers and staff helped communication between them on how things were handled on project and at the house. Holding a monthly workshop about The Happy Africa Foundation helped explain to the volunteers the link between the charity and African Impact, something that most volunteers would not have understood before coming to the location. This helped motivate them to join in fundraising events and for some to even do some fundraising of their own when they went back home. Going on trips or doing activities with the volunteers on the weekend also made my stay most enjoyable and gave me the opportunity to explore the area. Taking on some of the weekly roles at the house that volunteers have and joining them in learning about cultural traditions along with a new language also helped us bond over how difficult it was to pronounce the clicks and make the oven work. This internship is not for the faint-hearted, since it includes facing the daily trial of the scorching heat and relentless wind, climbing mountains in spite of fearing heights, sharing moments of laughter and moments of tears, waving off old friends and welcoming new ones, and above all, facing the poverty and reality that is found in the world. But in the end, it is definitely worth it, because where else would you be able to make life-long friends from all over the world, all united by the need to make an impact on the world, while also gaining some credits from your university and making your CV shine above all others? To find out more about our internship opportunities click here. “My name is Katarina Balthazar, I am 60 years of age and first born in a family of three, one sister and a brother. I was born in northwest of Tanzania at the shores of Lake Victoria in a district known as Musoma, it is one of the reasons why I like fish as my favorite dish because I have grown up near the biggest lake in Africa and I have been enjoying the great variety of fish from my childhood. I was taught how to dig by my mother and that’s how we got most of the food to feed our family, I did casual labor jobs like digging in a nearby family’s farm. Unfortunately, I only worked for a year and I got sick. I used to do a lot of hard work and I never used to feed my self properly, this led to my illness. I was admitted in the hospital for six months, I still used to receive visits from the family I worked for and they always used to bring me my favorite food. The sickness got worse as time went by and I became unconscious for a long time this caused me to become immobile. When I gained consciousness again I asked the doctors to call the family that I worked for to come and pick me from the hospital. One of the doctors told me quietly that the family would no longer need me to work as I was now immobile. This was when I was taken to the elderly home in Moshi. I have not yet heard from my brother or the family I worked for, I feel they never thought I would survive due to how sick I was, I too feel like surviving that was a miracle. I was brought to the elderly home while I couldn’t walk, I lied on bed for about a year. “My name is Nomonde. I stay in Khayelitsha in the community of Harare. I’m running an Early Child Development (ECD) project since 2010 and after school program, Sonwabile Educare. This program was my dream when I was working in one of the NGOs in Cape Town. I was working with women, and from that experience I realised that they were dealing with the scars of their childhood. Some of the challenges they were facing were the results of their wrong choices that they made in their childhood and their upbringing. From that experience I was always thinking of making a difference in one or two kids in my community so that they do not fall in the same trap. In 2008 I was retrenched at work, and the first thing I thought about was to start my centre and work with young people. I did parenting training by the social service. After that training I felt that it was high time to start my dream. I fostered 2 kids, one was a relative and the other was from the community. This passion of fostering became bigger and bigger in my heart until I became attached to these kids and I opened a Sonwabile Educare Centre in 2010 so that they could be around home all the time with people they love and know. One of the boys was one month then. The love of children became more and more, the department started to come with children for some temporary safe until their families were identified and taken to them. When they were six one morning it was announced that people are taking care of and more children should register, that’s when I started to follow the procedure of registering and the centre became registered in 2012. I started to open after care for the children whose parents are at work so that when they are coming from school they will come do their homework and some activities like traditional dance and singing and I taught them some life skills. My aim about these young people of ages 9-15 is to make sure that they are taught and guided in terms of careers and also be empowered and life skills so that they can be able to confidently make good choices, and build their self-esteem so that they can make informed decisions about their lives. To be able to stand peer pressure, love themselves and accept the fact that they are coming from different backgrounds, but what is important is their future. To take care of their bodies and not be taken advantage of by older people. In the Greater Kruger area learners are required to have a decent level and understanding of English. Sadly this is currently not the case, and very often learners graduate from primary school with an inadequate understanding of English. 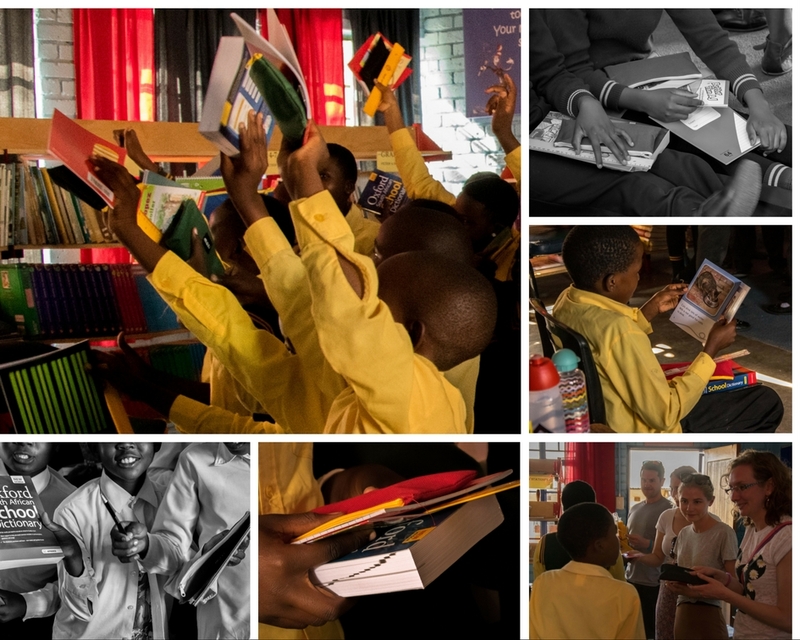 Through regular reading club sessions, we can provide learners with the opportunity to read English books with the assistance of volunteers and a great variety of books that encourage an interest in reading. Recently Shilla Patel, our amazing photography volunteer from the UK donated 40 dictionaries, as well as notebooks, pencils and other stationary to our students at reading club. The students were so excited to receive new resources and they will go a long way to assist with difficult words and expand their vocabulary. To read more about our Greater Kruger projects click here. Now an African Impact Ambassador, Shilla Patel continues to fundraise through running a number of half marathons in London – to support her efforts click here. Two weeks ago, the Happy Africa Foundation, in partnership with Sporting Chance and African Impact Cape Town, kicked off our annual street sports tournaments again! Only this year, we added soccer to the mix offering the children two sports to participate in. On the 21st of October, local children dressed in white Happy Africa t-shirts gathered in the streets of Langa to play soccer and cricket together. The streets were closed off to set up five different courts, each one complete with a referee, organized teams, and cheering bystanders. This event provides children a safe place to be active and further develop team-work, sportsmanship, and their athletic skills that they have learned in school or elsewhere. The tournament may specifically cater to the young, however, its benefits reach further, encompassing the greater community as a whole. Using sports as a platform, we are able to bring people together through promoting healthy living and the importance of maintaining an active lifestyle. From now until the 2nd of December, both soccer and cricket matches will be held in Khayelitsha and Langa every Friday, with the tournament culminating in a final round to determine the ultimate champions of the respective sports. African Impact volunteers play a pivotal role in the success of the tournament, providing mentor-ship and coaching to the children involved. The Street Sports Tournament is a huge success every year and garners large turnouts of children looking to participate in some competitive, structured play. It is always a great time for everyone involved! 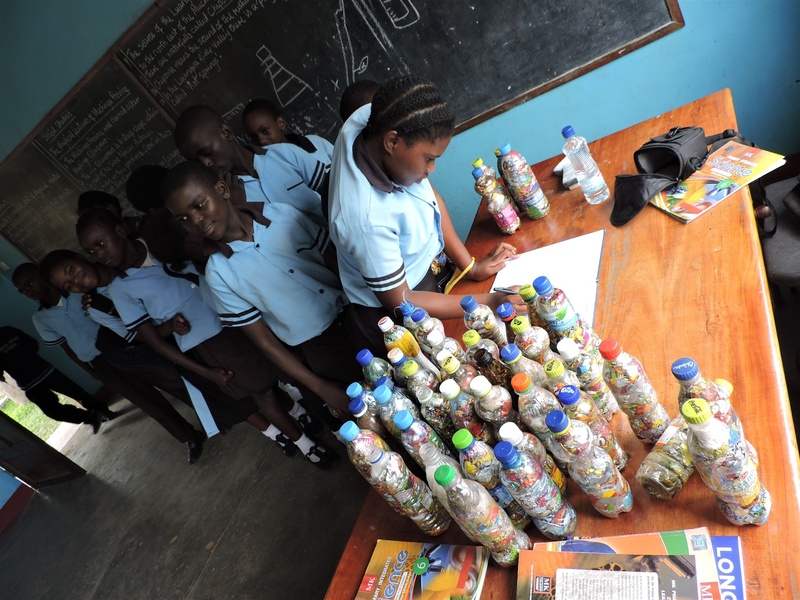 The Happy Africa Foundation is so excited to kick off our new partnership project: Classroom to Classroom. Schools around the world are pairing up with classrooms at Zambezi Sawmills School in Livingstone, Zambia through a PenPal relationship with Three Trails Elementary School in Kansas City, Missouri. The students in Missouri have received their PenPals, completed the first Classroom to Classroom activity and started writing to their new buddies. We are all so thrilled to watch relationships form and students to learn what it means to become global citizens! !